Nuts! 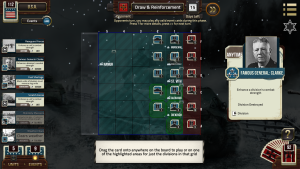 : The Battle of the Bulge is now available on Steam for both PC & Mac! The new Steam Edition of the game includes additional features such as Steam achievements, trading cards and cloud saves. As well as this, the latest game update includes a new ‘game log’ so you can optionally see all the actions and dice rolls. Nuts! : The Battle of the Bulge is a Decision Games card game that recreates the famous World War Two battle (16-31 Dec 1944) in which the German Army mounted a surprise attack on the thin U.S. forces deployed in the Ardennes region hoping to breakthrough to the English Channel and split the allied forces. In the game you control either the German or the U.S. and British forces. 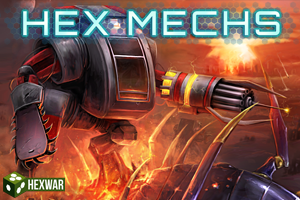 Buy now on Steam for PC & Mac! HexWar Day 12: Save $3 on Civil War: Bull Run 1861 on iPhone & iPad! Get Civil War: Bull Run 1861 for just $1.99 on iPhone & iPad today! Civil War: Bull Run 1861 recreates the first major battle of the American Civil War between the Union and Confederate armies. Take command of an Union army of Northeast Virginia or the Confederate army of Potomac and Shenandoah and engage in the largest battle fought on American soil to date. 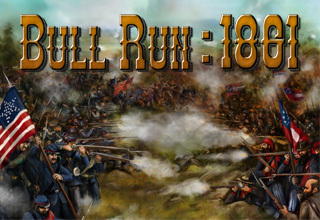 This game covers the Battle of Bull Run in full, featuring the whole battle as a single mission, focus missions recreating significant points in the fighting such as Henry House Hill, and missions covering the smaller engagements in the run up to the battle.